Имате въпрос към Mango Garden Homestay? Реновиран през 2014, Mango Garden Homestay гарантира на своите посетители приятен престой в Хой Aн независимо, дали са тук по работа или на почивка. Разположен на 1 km от най-вълнуващите части на града, този 1-звезден хотел притежава отлично местоположение и осигурява лесен достъп до най-големите забележителности. С удобното си местоположение хотелът предлага лесен достъп до всички градски забележителности, които задължително трябва да се видят. Предлагайки висококачествени услуги и широка гама от удобства, Mango Garden Homestay Ви осигурява възможно най-комфортния престой. Гостите на хотела могат да ползват съоръжения като безплатен WiFi достъп във всички стаи, експресно настаняване/напускане, Wi-Fi връзка в общите части, летищен трансфер, семейна стая. Mango Garden Homestay разполага с 5 стаи, които са обзаведени с вкус. Много от тях предлагат удобства като телевизор с плосък екран, огледало, достъп до интернет (безжичен), безжичен интернет достъп (безплатен), климатик. Хотелът предоставя най-добрите съоръжения включващи фитнес зала, солариум, градина, които ще Ви помогнат да отпочинете след активен ден прекаран в града. Каквато и да е причината за Вашето посещение в Хой Aн, Mango Garden Homestay е идеалното място за една вълнуваща почивка далеч от всичко. 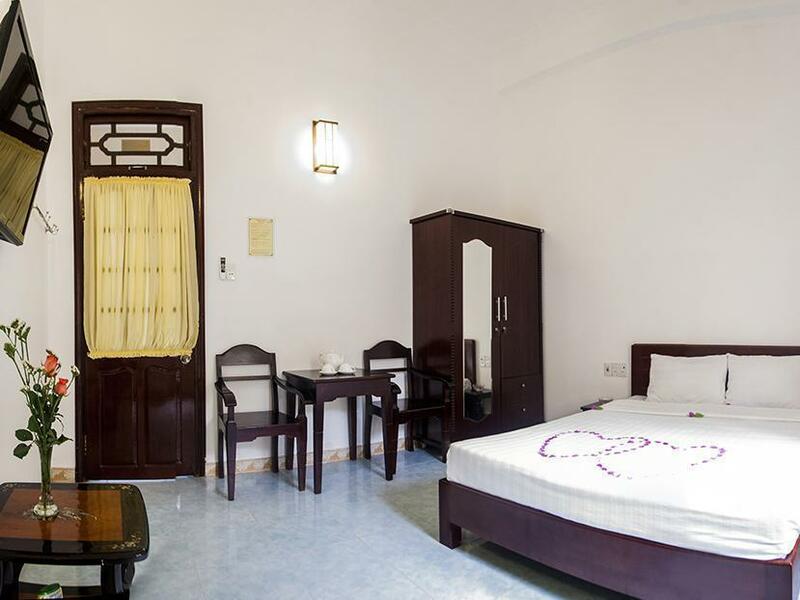 Mango Garden Homestay is the perfect place in Hoi An!! Amazing service and location, a very cozy and genuine homestay! Loved that one can borrow bikes for free 24/7. The owner, Huyen, and his family was lovely and SO friendly. Would definitely recommend anyone to stay at Mango garden!!! Owner is nice and friendly, inviting you to share time with him if you want to. The situation is 15min walking distance from old city which is fine. We made a mistake about our arrival date and he accepted to offer us 1 night for free !! We had a great stay here at Mango, we actually stayed one more night then expected. The family were really friendly and welcoming. The owner was always around offering help and advice to everyone and he made us feel very welcome in his home. 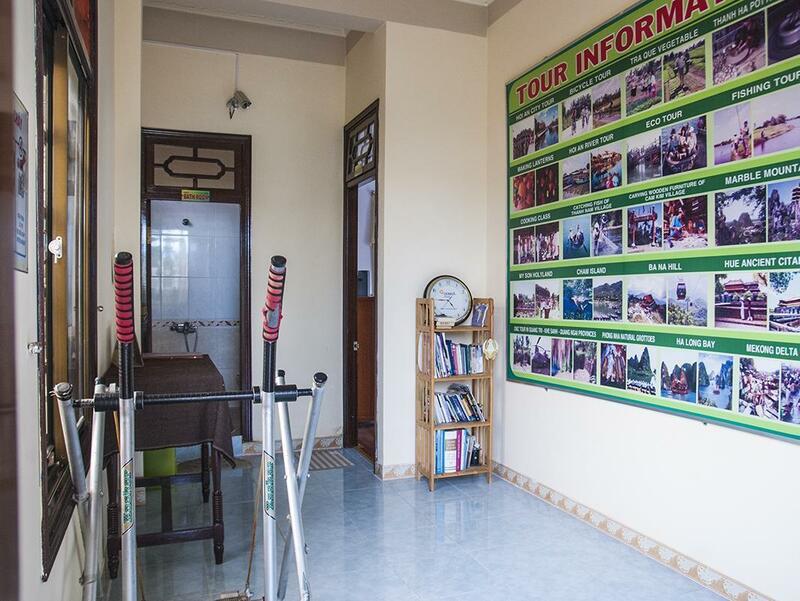 The ancient town is about a 10-15 minute walk but they do offer free bicycles for you to use. 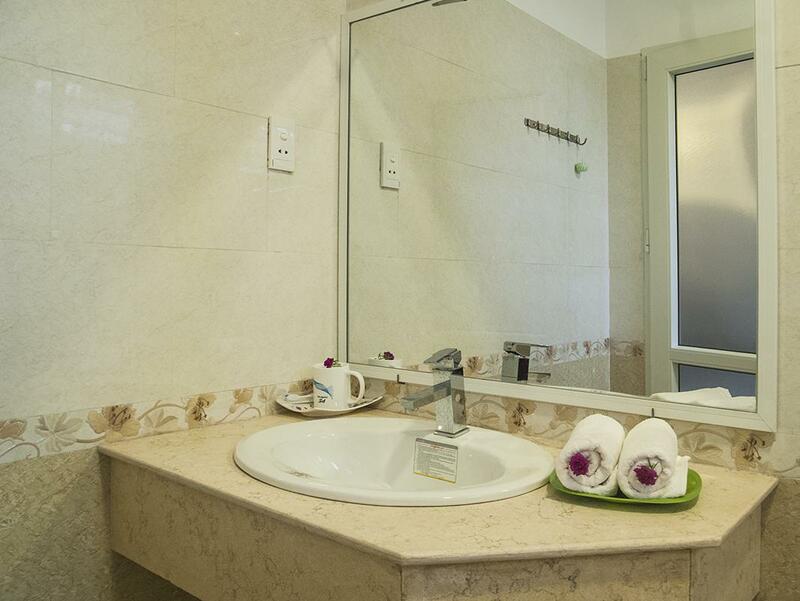 The room was clean and spacious, we had our own bathroom with hot water and fresh towels everyday. There are restaurants and small shops just a few minutes walk away. The host was amazing. He helped us figure out transportation for our next destination and was always around if we had questions. The room was spotless! We stayed here for 4 nights and we really enjoyed our stay. 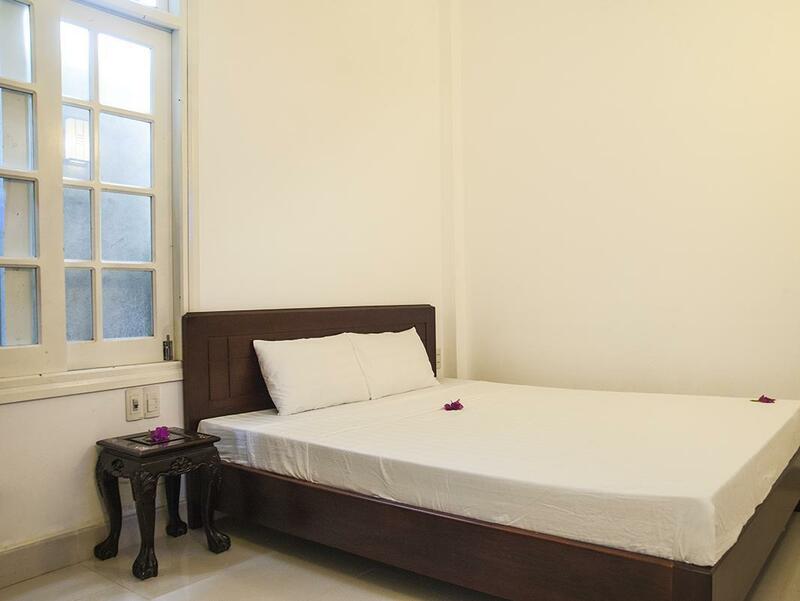 Perfect location - only a short walk away from the old town. Our host was very helpful and went out of his way to ensure we had a good time in Hoi An. Thanks for hosting us! Booked for 1 night stayed for 5. I was in the dorm, sheets and towels changed everyday room was spotless. Aircon room nice and cool. Perfect location 10 minutes walk from old town yet still all the restaurants and bars around were cheap and not overpriced. Staff very friendly and helpful. Will stay here again. Booked for one night, ended up staying 5. 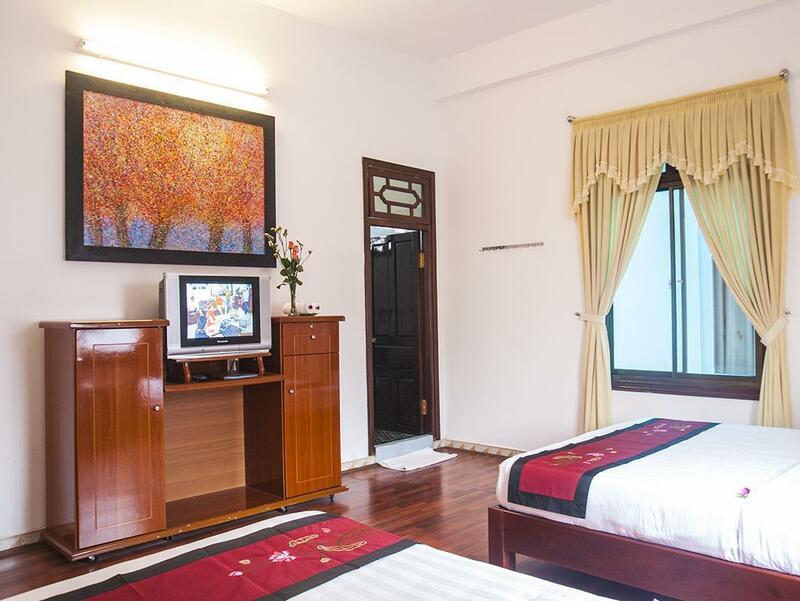 Homestay is in perfect location, 10 minute walk from the old town, yet all the restaurants and bars around it are cheap. I stayed in the dorm, beds were massive queen size. Sheets and towel changed everyday. Staff were extremely helpful and friendly. Will defiantly stay here again. Ive been traveling Southeast Asia last three month and Hôi An, and Mango Garden just made me stay here one more week than I was expecting. The room is big and the bed really comfortable. The bathroom is modern and beautiful. Here you have anything you want: free bike, motorbike for rent really cheap, you can use the kitchen and you have one of the best hosts I’ve met in this journey. I take a bike and I’m in city old quarter in 5 minutes, and on the street you have everything you could want. I’ll come back! For sure! We stayed a couple of days in the homestay. 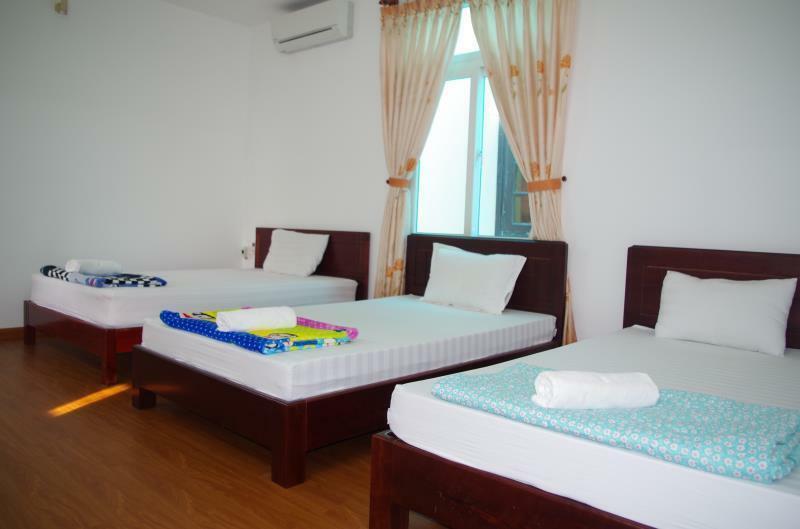 The rooms were very clean and big and the people really nice. The location is great, further from the town, but we could take the bicycles for free to cycle to the town or to the beach. Both nearby the homestay. So Nice to cycle around Hoi An, what a nice city. Would recommend the mango garden homestay to everyone! Very nice place to stay. Friendly and interested hotelowner who cleaned every day the room. Can absolutely recommend it. Great family who is very helpful. The location is great and only a 10 minute walk from old town. Only downside is I had to look around a few different occasions to find a staff member for help. Besides that great place. Very pleasant stay! Would definitely recommend. Bikes are available and the woman who runs the place can arrange for a motorbike as well. She helped me with that and also a bus ticket. All prices were reasonable and the location was central enough to bicycle to the beach or to the Ancient District. The location was out of the way just a little . If you don’t mind walking it’s quite nice away from it all . But they do have bikes you can use for free which is lovely . I really quite enjoyed my stay here . Great hostel, clean and spacious rooms with very helpful staff! Compared with other places that I have stayed at in Vietnam, this place was a bit of a disappointment. The ceiling of the bathroom was covered in spider webs and the sink did not work properly. However, the actual bedroom was fairly clean. The one staff member who spoke english here was helpful but they were not always on the property. Also, breakfast is not included if you book through Agoda. However, I liked that they had free bikes to borrow to explore the city and surrounds. Fantastic value, free lunch was a real treat and the staff organised our onwards travel with ease and pickup at next hostel. Staff did try and sell tours/shop but can't blame them for that. Overall really happy with our stay. It is within walking distance (5-10 minutes) to the ancient town, it's a lovely place which belongs to a very nice family. The girl who works there is a lovely person. Breakfast is very good. We would stay here again!